Prior to this camp, the highest attendance was at the Jr. NBA RSC in Cagayan de Oro on February 2017 with 1,479 participants. “Breaking the attendance record for the Jr. NBA Philippines Regional Selection Camp is a tremendous achievement and a testament to the popularity of the game of basketball in this country,” shared Jr. NBA Head Coach Rob Newson. 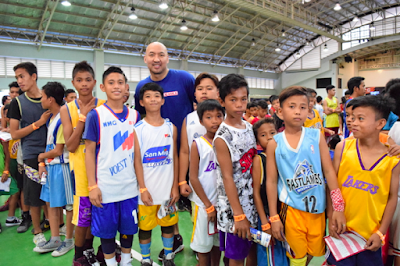 Jr. NBA coaches led by Coach Newson and PBA Legend Jeffrey Cariaso welcomed campers that included over 200 young boys and girls from the indigenous people of Higa-onon, Manobo and Banwaon who endured a two-hour drive to immerse in the Jr. NBA experience.